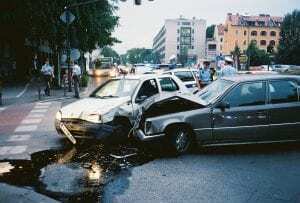 Rochester, NY (March 21, 2019) – On Thursday morning, March 21st, a collision involving three vehicles was reported to have occurred for reasons that are currently under investigation. The accident was stated to have happened around 7:00 a.m. near Monroe Community College’s downtown campus, at the intersection of Morrie Silver Way and Plymouth Avenue. According to deputies, one of the vehicles involved in the crash is believed to have struck the MCC building located at the intersection. Although not many details have been made available at this time, police and paramedics who arrived at the scene have likely been able to verify that at least minor injuries were suffered in the collision. The severity of any injuries has not been reported as the accident is under investigation. Surveillance cameras in the area are believed to be able to provide some insight into the events that led to this accident.